More and more cities continue to set record tourism numbers year after year. 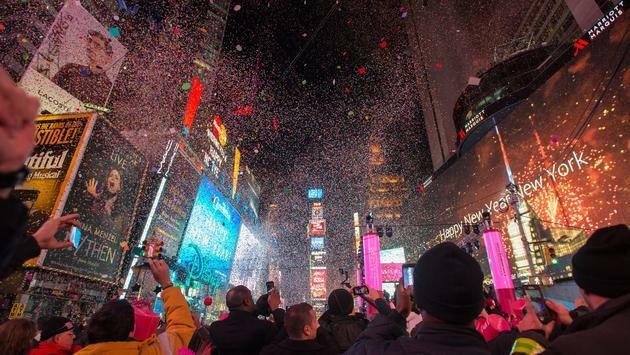 This past week, New York announced it had set a record with 65.2 million visitors in 2018 (it expects 67 million visitors in 2019), Los Angeles celebrated a record 2018 with 50 million visitors and Japan announced a record 30 million visitors in 2018, which was an 8.7 percent increase from 2017. These, of course, aren’t the only destinations seeing an increase in tourists. The travel industry is thriving, and many travel agents believe 2019 will see a big boom in business. But this, unfortunately, leads to over-tourism, where superb destinations become overcrowded with massive amounts of people, greatly impacting the travel experience for many. After all, who really wants to fight through hordes of individuals to see that historical monument, that famous painting or that fancy new attraction? The obvious answer to just avoid these places and find something off the beaten path instead. While that’s certainly something travelers should strive for, seeing new destinations they may have otherwise never thought of, major cities shouldn’t be ignored when planning a vacation. The New York’s and L.A.’s of the world are always going to have large crowds. One could realistically make a case against traveling to any destination in the world. But instead of bashing a place for its large crowds or whatever negative aspect might be associated with that place, why not instead find positive ways to talk about traveling there? Like visiting during the slow season or booking a more luxurious package to avoid the crowds. The fact these places keep setting record tourism numbers just goes to show that people love to travel, no matter how many people continue to visit each year. The point is, don’t let anyone or anything deter you from traveling! Just be respectful of the destination and don’t violate it or vandalize it during your visit. Rising tourism numbers are just another example of why having a travel agent is so vital. Why, you ask? Read on further for this week’s advice from an agent. Hitting the airport this week? Here are tips for surviving long security lines during the ongoing government shutdown. The naughty passengers seem to never stop. Last week a passenger jumped off the 11th-floor balcony of Royal Caribbean’s newest Symphony of the Seas. He survived but ended up getting banned for life from Royal Caribbean. NYC filed a lawsuit against illegal Airbnb listings. It’s just another example highlighting the importance of working with a travel agent to book your vacations. Hotels.com is giving away 53 hotel rooms to Super Bowl fans this year. When should you refuse a hotel room? Find out with these tips. TravelPulse reached out to several agents to find out what the craziest requests they’ve received from clients are, and the results are hilarious. The first, and most important, is to use the right travel advisor with the right connections. That means the right guides and ground partners that can organize behind the scenes, VIP viewings and overall a seamless and trip full of access. If there is no special access, then even waiting makes a difference with the right guide who has the knowledge to keep clients interested and entertained. “The second would be to travel during shoulder seasons when crowds are less and temperatures more comfortable if one does have to wait. Save up to $2,900 per person on voyages to paradise with Paul Gauguin Cruises. Find savings of $2,312 per couple at Azul Beach Resorts courtesy of Travel Impressions. Get up to $1,000 shipboard credit with Windstar Cruises. Save up to 30 percent on select expeditions with Hurtigruten. Celebrate love with this Valentine’s Day offer from Marigot Bay Resort & Marina.